Sketchfab Community Blog - Sketchfab Sculpting Challenge: Super Pets! Sketchfab Sculpting Challenge: Super Pets! Snowball and Rex are good at catching mice and sticks, but what else can they do? Imagine a world in which pets have superpowers – what would they be and how might they be used? Dogs and cats are classic (and worthy!) subjects, but feel free to explore less conventional pets such as rabbits, snakes, horses, and hamsters, just to name a few. TL;DR: Use your favourite sculpting tools to make a pet (real or ideal) even more super than they already are, upload it to Sketchfab and tag it #SuperPetsChallenge. Use your favourite software and workflow to sculpt any pet with superpowers. Once you’ve created your scene, upload it to Sketchfab, tag it #SuperPetsChallenge. Tom and Bart, Sketchfab Community Team. 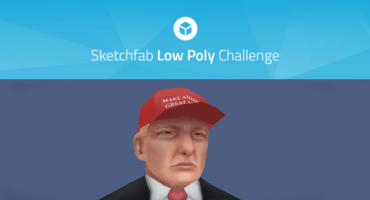 The winner receives a $100 Amazon gift card (or equivalent if you don’t have access to Amazon), and of course we’ll add three months of Sketchfab PRO to your account. Contestants’ models must be uploaded to Sketchfab and tagged #SuperPetsChallenge to be considered. The winners will be contacted by Friday, June 29. Interesting concept. Just have to found the pet I want.